A powerful new tool has just been released for jailbreakers to “unjailbreak”. 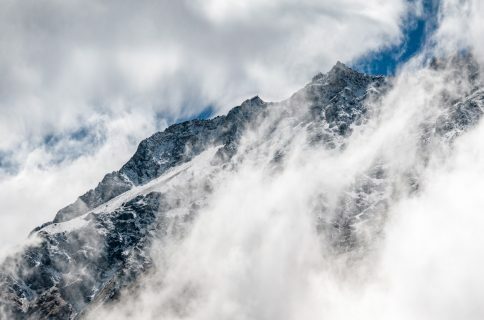 It’s called Cydia Impactor, and it’s an on-device tool that lets you remove and revert all changes made to a device to return it to its stock configuration. The most notable thing about this tool is that it allows you to return to stock without needing to upgrade your device. Say, for example, you wanted to sell your iPhone, but wanted to retain its jailbreak-ability to increase resale value. Normally, if you wanted to perform a full system restore, you’d be forced to upgrade to the latest firmware, and thus lose your jailbreak. With Cydia Impacter, you can restore your device to stock without upgrading. Cydia Impactor version 0.9.15 is currently in beta for iOS 8.3 and iOS 8.4 only. Keep in mind that before running this tool you should backup your data first via iCloud or iTunes. 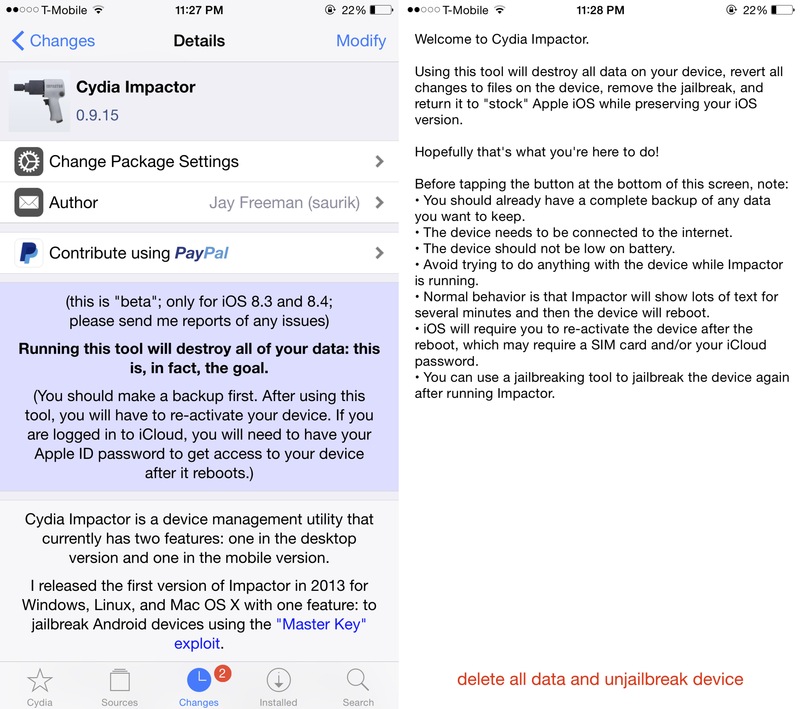 Cydia Impactor will remove all data, as that is what it’s designed to do. You’ll also need to reactivate your device, and go back through the normal setup process. Saurik advises that you don’t touch your device while Impactor is running, and that it should be connected to the Internet and have plenty of battery life to spare. We’ve posted a video, but be sure to catch our full remove jailbreak tutorial here. If you have ever used iLEX RAT, or Semi-Restore, then this tool will remind you of those tools. Considering that’s Cydia Impactor is made by Saurik himself, then I’d say that this is a pretty big deal. What do you think about Cydia Impactor? Sound off down below in the comments with your thoughts.